I am EXTREMELY interested in knowing specific indicators that you've found in the hands of the criminally insane. Your comments would be highly appreciated. This is an extremely hard question, as each case and individual is unique. If there was one particular feature in patient hands that I saw most frequently, it was a complete lack of peripheral lines. Many of the most psychotic patients appeared to lack superegos. They saw only one solution to their problem (murder) and weren't concerned about the consequences of their actions. On the whole, I found the staff much more neurotic than the patients. Thanks for the response Mr. Seltman. I thought perhaps you had chosen to ignore my question. It's more than a month old. Based on my very sparse knowledge of Freud's work, I understand the term 'superego' as the mental faculty which governs/modulates responses from the subconscious. By peripheral lines, I'm assuming you mean other than head, heart, life & perhaps fate. I can recognize & understand that each would be a unique case. But still, I'm sure there are signs that would make you immediately suspect (obviously one cannot be certain) temperamental deviance or mental anomalies which when combined with other signs such as a crude thumb, thick heavy palm may lead to violence against others. Would it be possible for you to explain in a little detail 2-3 cases from memory ? I'm aware that you are under no obligation to do so, this is just a request from a fellow palm reader who seeks to expand his knowledge. Sorry for not responding more quickly. I get busy with other priorities and forget about everything else until I acheive my goals. By peripheral lines, I meant that there were very few lines other than life, heart, head, and fate, which were often very clearly engraved with relatively few branches or islands. I saw only one club thumb among approx.150 individuals. Once in a while I'd see a hand that was unbelievably stiff, or flexible, or flabby, or red in coloration. Many of the index and middle finger tips were permanently stained from cigarette smoke and the fingernails showed respiratory problems. I never saw any one thing in common with all the patients. I cannot take the time here to talk about individual cases. I may eventually get to some in my blog. You should read Crime and Mental Disease in the Hand by Paul Gabriel Tesla. 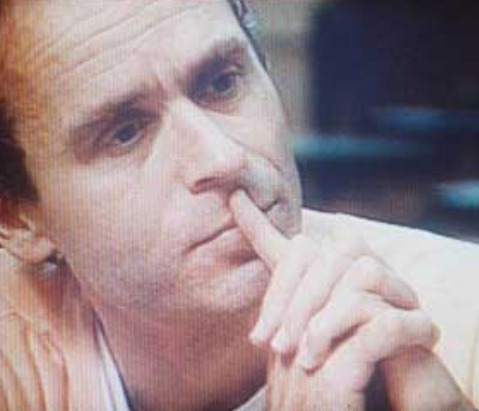 There are lots of famous murderer's hand prints - Ted Bundy, Charles Manson, Wayne Williams, etc., along with an analysis of their hands. Tesla finds various anomalies in the dermatoglyphics in the hands which you will find interesting. I listened to an interview with the author and heard so many key words and phrases similar to those I use in readings about certain ways of thinking that I had to buy the book. There are several books ahead of it in my reading stack and I can't wait to have the time to read it. But I think you'd like it too. I think the author has a web site. Looks like Tesla's book is out of print with 2 copies for $190 and $200 used at Amazon. Bummer! Do you think you could scan just one hand print of a particular criminal, with a review of what he says, for a discussion. I would love to get a feel for what he's writing, especially in regards to the dermatoglyphics. I don't know if this will work, but I just tried to upload an image of Ted Bundy's hand print from Tesla's collection. I don't have permission and prefer not to publish his writing without it. I guess it didn't work.... I don't see an image. I understand your hesitation. I think there's a limited amount that can be reproduced for educational or review purposes. 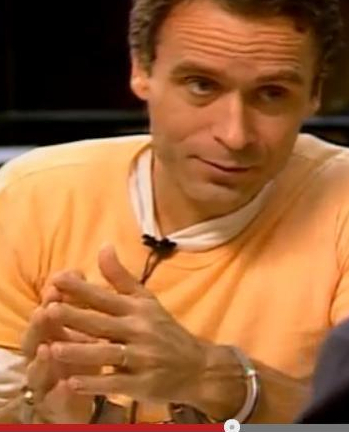 Could you then instead share some insights about how he relates aspects of the dermatoglyphics to criminal mentality? mark seltman wrote: I don't know if this will work, but I just tried to upload an image of Ted Bundy's hand print from Tesla's collection. I don't have permission and prefer not to publish his writing without it. 2. The pinky finger is neither low set nor crooked. 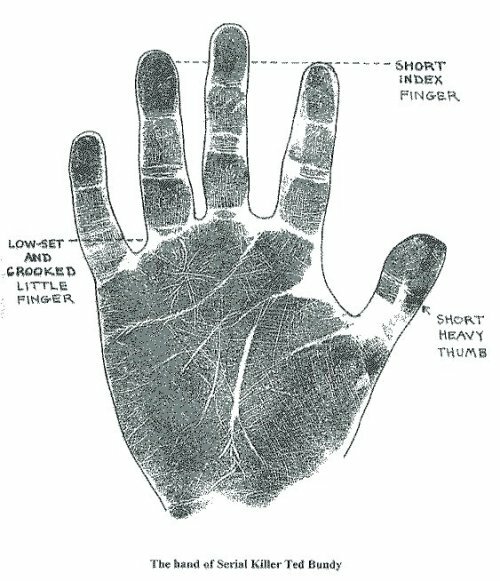 It appears to me that some features of this hand print (perhaps the entire palm) are a figment of someone's imagination, trying to fit Ted Bundy's hand characteristics into a pre-conceived paradigm. This reminds me of 'Hitler's palm print' that is floating on the internet. If someone feels otherwise, I'd love to hear their argument. Hmmm... I have not researched the authenticity of the hand print. But your attempt so far appears quite unrealistic, because it looks like you are unaware of the fact... that you started comparing the hand print - which concerns a left hand, with a photo of Ted Bundy's right hand! Sorry, I think it is quite obvious that one can not draw any conclusions from such a comparison; however, I would like to thank you for your research attempt. I was aware of the difference in hands & that is precisely why I asked for diverging opinions. My doubt implied that I consider the hand print unreliable, thus I was interested in finding out if someone had researched the authenticity of the print. I AM STILL keen on knowing if someone is aware of the origin of this print. 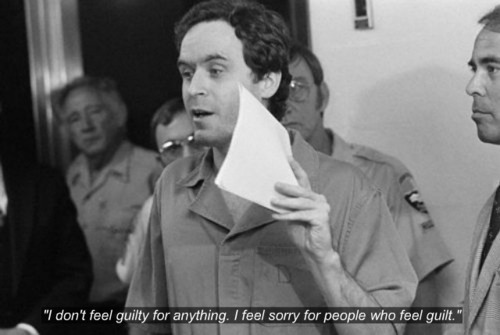 Furthermore, I don't know if Ted Bundy was Right Handed or Left handed. If he was right handed, then it is of extreme importance to see the Right before coming to any conclusions. I'm sure you would disagree, but this palm print is not of much use unless we have proven authenticity. 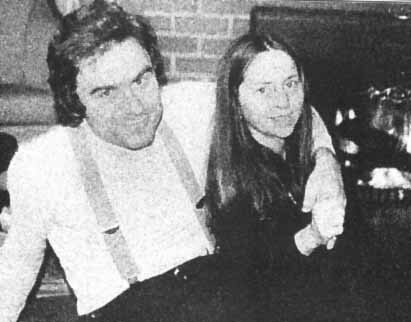 Here is another photo of Mr. Bundy. The left hand can be seen from the backside. While the photo is partial, I suspect there is a fair bit of symmetry between his hands. The thumb does not look short & heavy. The pinky seems to mirror the RH pinky. Again, I would love to hear divergent opinions. guypalm wrote: I was aware of the difference in hands & that is precisely why I asked for diverging opinions. Sorry, but I think you're jumping into conclusions regarding the authenticity of that hand print... without presenting any solid evidence for your position at all; sorry, I also don't see any evidence in your 2nd photo. Since neither one of us has evidence for or against its authenticity, our discussion is unproductive & pointless. Let's just respectfully agree to disagree. Hopefully, Mr. Seltman will be able to shed some light on this matter. thanks for drawing it to our attention guypalm, I see what you are saying about thumb in photo does not look short & heavy as in the print, also little finger looks straighter in the photo. Hope we can find some more pictures to be sure of authenticity. The knuckles do not match. The index fingertip looks like it would be short in appearance from the back of the hand, but is longer in the print. The nails and fingertips in the photo are spatulate but fingertips appear conic in the print. The little finger does not look bent, but I used to take prints using a rolling pin and/or roll of paper towels to roll the hands in printing instead of flat out on paper. Because of that many of my older samples have unreliable fingers. As to the thumb, it is possible the tilted back tip is not imprinted in the ink print...? Left index appears longer on the palm side of this image. I would like to add that one can not be sure that the thumbprint of Bundy's hand provides an accurate impression of it's true dimensions (the outlining suggests that the thumb became printer wider than it really is). However, I think the following 2 photos suggest that his left thumb might have been a bit broader than his right thumb. And the finger lengths of his right hand look quite similar compared to the finger lengths in his right hand (short index finger, short middle finger, slightly long ring finger + slightly short pinky; this combination appears also present in his left hand as seen in the 2nd photo below... expect that we can not see the full length of his left pinky finger) + upward curving heartline to the upper zone of the palm between the index and middle finger that appears to be present in both hands. NOTICE: The 2nd photo below could does not reveal much info about the head and life line, but one can not conclude from that picture that the dissociated head line is not present in his left hand (unfortunately we can actually see only some vague shades that might ... or might not represent the lines). I think think these observations can be perceived as presenting evidence that appears to confirm the authenticity of the hand print. You had read my palm on PI forum years ago. You had done an excellent job in pointing out important elements of my personality & work related matters. I've been a 'virtual' fan of yours since then. "The little finger does not look bent, but I used to take prints using a rolling pin and/or roll of paper towels to roll the hands in printing instead of flat out on paper. Because of that many of my older samples have unreliable fingers. As to the thumb, it is possible the tilted back tip is not imprinted in the ink print...?" It is quite likely that this is the case IF the prints have come from an authentic source (for example, from law enforcement archives). However, if so, then that bent pinky & short, heavy thumb should not have been pointed out (by whoever has created/labeled that print) as key characteristics of a criminal mind. 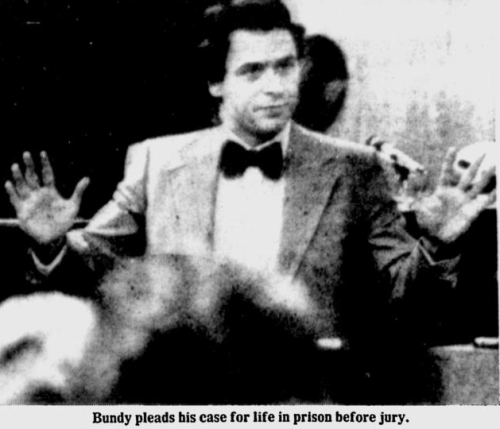 I'm also wondering if anyone knows whether Bundy was right handed or left handed. To me, notwithstanding the 'evidence' presented so far, that print is still highly suspect. I'm sure there will be many who will continue to consider it authentic. But such is the nature of these debates. That is part of what makes participation in a forum a stimulating activity. I think the jury is still out on this one. Mr. Seltman, could you please chime in here? Maybe Tesla's book has a different print or at least a verified source for this print. However, if so, then that bent pinky & short, heavy thumb should not have been pointed out (by whoever has created/labeled that print) as key characteristics of a criminal mind. Thank you Guypalm! I quickly looked at my saved files from Sue's forum and didn't see your current i.d. but I probably saved them if I read them. The main features that have me leaning toward the print being not real, is the noticeable mount in the lower hypothenar, or Pluto mount in the photos. It is lacking in the print. Also in both hands in the photos there is an indentation that goes all the way to the outside of the palm diagonally, like a fate line to the lunar area. The creases are too weak in this area on the print to support that deep of a crease. There are also indentations in the side of the percussion in the photos that are not as pronounced in the print. The video was take hours before his death sentence was carried out. At 10 minutes & 7 seconds he holds his left little finger straight out. Here at 4:24 you can also see the left little finger is straight. Fantastic Patti !! These videos are almost perfect. I don't think that pinky can be called short or crooked by any stretch of the imagination. From the screenshots you have provided, his thumb does not appear heavy. It is definitely not short. The contrast can be seen against the thumb of Megan Fox (discussed on this forum sometime ago) who has a 'club thumb'. I think these videos settle the issue for me ! That print is a fake at worst or inaccurate at best ! BTW, guypalm is not the ID I was using on Sue's forum. But you probably do have my palm. Someday (not that you would care or be interested), I'll stop by in Ohio and show you my palm. Maybe its uniqueness will immediately ring a bell without my having to tell you. 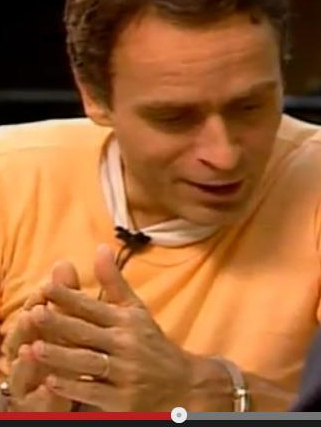 Patti, in this video between 3.50 & 4.15 we can see at various moments that Bundy's left hand has a connected head line (contrary to his right hand, where photos show a clear dissociated head line! ), so I think this is more evidence that the hand print is authentic. PS. Sorry, I don't think that we can see from a back/side-view of his pinky finger how the pinky finger would look like from a frontal view when the finger is fully stretched (as seen in the hand print).